‘Murder, she felt fairly sure, was not the kind of “Purpose of Visit” calculated to speed her through immigration.’ Why would anyone want to kill Penny Varnavides, bestselling author of the “Teen Dreams” series? It couldn’t have been the freak accident it first appeared — Penny’s death was an exact replica of the murder method in her forthcoming book. Apart from Penny, only three people knew the plot: her literary agent, her editor and her ex-girlfriend Meredith. Has the reader gripped from the first page, both moody and hilarious and thoroughly unpredictable. Funny and scary by turns, always sharp. 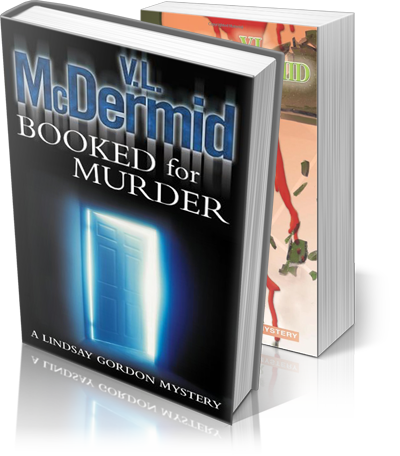 The macho world of the whodunnit has never seen a sleuth like Lindsay Gordon..
There’s a vividness and energy to this tale that makes it satisfying and convincing. Tough, exciting, moody and unpredictable. Full marks for plot, atmosphere, character, dialogue, politics, humour Oh hell, full marks for just about everything. I don’t know how Val does it, but I’m bloody glad she does. You don’t have to be a feminist to enjoy this well-crafted caper. McDermid excels at describing a world of jealousies and backbiting.